January 4, 2018 Microchip Technology, Inc. Microchip is aggressively protecting its clients from the recently discovered vulnerabilities of Wi-Fi® Protected Access II (WPA2). Nearly all Wi-Fi devices in the world use WPA2 security in which a security vulnerability to a Key Reinstallation Attack (nicknamed “KRACK”) was discovered in recent months. Since these critical security vulnerabilities appear in the standard definition, virtually all devices using WPA2 are affected. The good news is that Microchip was one of the first vendors to issue a patch specifically for KRACK. Updated firmware for the ATWINC15x0 was made available the day the KRACK WPA2 vulnerability was announced and quickly followed by patches for additional Wi-Fi families, including Microchip’s oldest family, RN172/131. 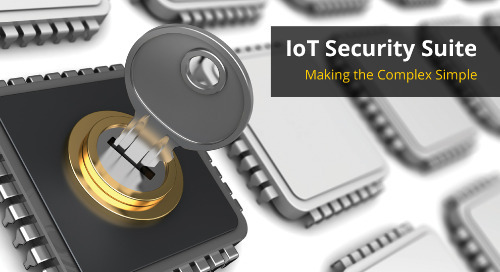 Security is a major focal point in IoT designs, and Microchip provides a range of products and software to protect your network. For more information about Microchip's devices affected and/or to download the latest fixes, please visit the WPA2 Vulnerability page.